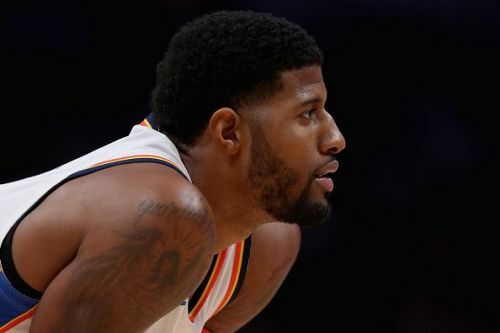 Paul George joined the Oklahoma City Thunder in 2017, after informing his Indiana Pacers team that he would not sign a max extension, due to his desire to head to Los Angeles in the 2018 offseason. At the same time, the OKC Thunder had just signed Russell Westbrook to a new contract and wanted a second star to pair with their reigning MVP. The franchise ultimately made the bold move to trade away Victor Oladipo and Domantas Sabonis in return for a player who was likely to leave the following season. 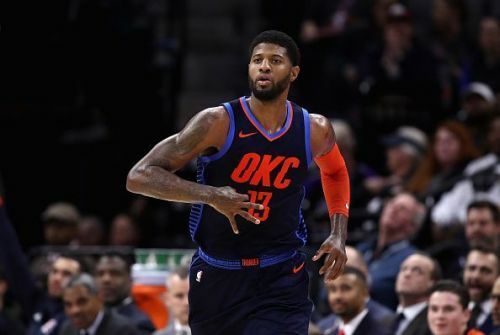 Paul George had a successful debut season in OKC, although he was widely expected to leave the team after the Thunder suffered a disappointing first-round playoff defeat to the Utah Jazz. Despite this, PG13 eventually snubbed Los Angles and LeBron James, in favor of penning a four-year, $137 million contract in Oklahoma City. In the early stages of the 2018/19 season, George had to lead the team without the injured Russell Westbrook, although the 28-year-old has remained the Thunder's best player since the return of the 2017 MVP. George's performances have led the Thunder to the second spot in the Western Conference standings, and here we will look at the three reasons why George is now OKC's main man. There is no doubting that Russell Westbrook is the Thunder's best player when he is on form, however, the 30-year-old is prone to erratic performances, whereas George has been consistently excellent for his team this season. PG13 famously missed 14 of his 16 shots in Game 6 of the 2018 playoffs last season, although the 5-time All-Star now looks settled in Oklahoma, and he has yet to let his team down this season. George is currently shooting nearly 45% from the field, and even on nights where he struggles with his shooting, he still provides the Thunder with resistance on the defensive end.